Around the turn of Century a journey in a luxury steam train through picturesque landscapes and magnificent cities of Europe was part of the exquisite attitude to life of the “Fin de siècle”. These travels with in the grand trains of the past remained unforgotten for a good reason. 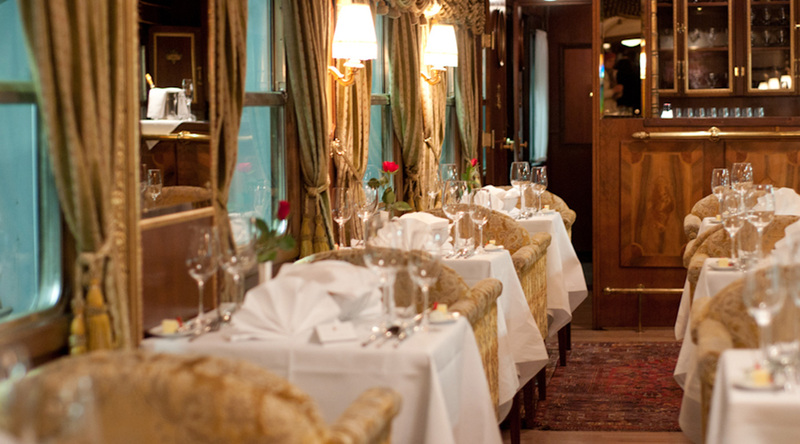 The comfortable coupés and luxurious furnishing were as much part of the travel experience as well as the perfect service at glamorous dinners with culinary highlights. We will be happy to welcome you on board soon. according to your wishes and budget.